My experience when coaching sales teams has shown that, top performing sales professionals will achieve their sales quotas, irrespective of how good or bad a leader you are. Top performers need very little guidance and support at all. They just perform all the necessary daily sales activities as if on autopilot. It is also true that your bottom feeders will eventually realise that they are in the wrong profession and they will eventually find a different career. Any agile sales leader, who wants to be successful, must focus his or her energy on coaching and developing that group of sales people, who are good, but they lack those fine-tuned sales skills, needed to to unlock their great. Despite having the abilities to do so, very few middle of the line sales people, actually make the shift from average to amazing. They have the inherent ability, but they lack the specific sales skills and guidance necessary to unlock their hidden sales greatness. The middle of the line sales person seldom manages to cross over from average to exceptional, because they invest too little into their own personal development and their “sales managers” spend very little time coaching and supporting them. “SALES LEADERS” on the other hand know that the middle of the road sales members are where they should focus their coaching efforts. This is the group within their sales teams, who with proper coaching, mentoring and support, can be guided to move from average sales people to exceptional sales professionals. For any sales leadership or Coaching and mentoring process to be effective, it cannot be random. It must be a focused and a systematic set of activities, designed to mentor and coach, carefully chosen sales people within your sales team. 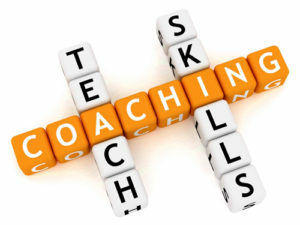 The objective of any coaching or mentoring is to help them to transform into competent sales professionals. As sales leaders focus their coaching and mentoring efforts on those middle of the road performers in their sales teams, they will see huge improvements in the performance of their sales team and their win rates will definately trend upward. 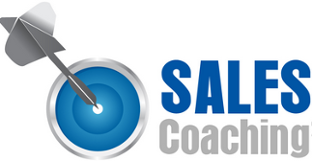 The hardest part of sales coaching is identifying, which sales people to focus your coaching efforts on. As a sales leader you do not have an endless supply of time to devote to this endeavour, so choosing, which of your sales team members to coach and support is crucial. When done correctly sales coaching and mentoring, is a very time-consuming activity, but it also has the potential to support massive sales growth. It is for this reason that you must carefully select, which sales team members to coach and mentor. My experience has shown that most sales managers focus their efforts on trying to support the bottom feeders in their sales teams. As I have stated above, this is very ineffective and a waste of resources. Carefully select a few “MIDDLE OF THE LINE PERFORMERS” and give this group your all, in the form of a focused, programmatic set of coaching and mentoring activities. 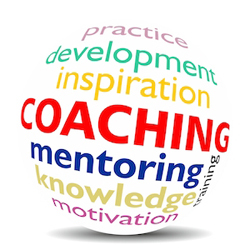 Action Idea: After selecting a few “MIDDLE OF THE LINE PERFORMERS” to coach and mentor, monitor their sales activity and pipeline progression, to try to identify specific sticking points, where they need mentoring or coaching support. The objective of this exercise is to analyse each sales person’s activity, as they flow through your predictable sales process, to evaluate areas where they may need support and guidance. As you examine how well each chosen “MIDDLE OF THE LINE PERFORMER” navigates through each opportunity stage, within your predictable sales process, you will notice areas, where they are struggling. As you examine the performance of each of the “MIDDLE OF THE LINE PERFORMERS” examine their conversion rates at every stage of your predictable sales process. Some of your “MIDDLE OF THE LINE PERFORMERS” may be great at qualifying leads but lack the sales skills necessary to convert that lead into their first discovery meeting. This probably means that they struggle to connect with their future customers and as such never manage to arrange a meeting with them. Some of your “MIDDLE OF THE LINE PERFORMERS” may be great at arranging their first discovery meeting, but they get bogged down and never seem to progress further than this. Some “MIDDLE OF THE LINE PERFORMERS” may be really great at probing and asking meaningful questions, but they do not manage to convert this into an effective preproposal. This may mean that they are unable to connect their value proposition with their future customer’s needs, values and expectations. I am sure that you get the gist of what I am trying to bring across with the above examples. The secret to make this process work for you as a sales leader, is to identify where the challenges lie and then to confirm what the challenges are, before offering coaching or mentoring to your “MIDDLE OF THE LINE PERFORMERS”. Action Idea: For coaching or mentoring to be effective, it needs to be done in a systematic fashion, rather than as a one-off activity. Add mentoring by coachee to your calendar, on the same time and same day each week, to ensure that it gets done on a regular basis. One of the most effective ways of conducting coaching and mentoring support for your “MIDDLE OF THE LINE PERFORMERS”, is to conduct sessions with individual sales team members. 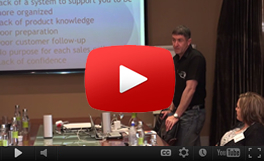 The purpose of these sessions, is to support them to improve in the areas you have identified previously as sticking points in the sales process. Recommended time of day: From 4 pm onwards. By scheduling mentoring and coaching meetings after 4 pm in the afternoon, you do not cut into your sales team’s productive time. Duration: I find 30 minutes per “MIDDLE OF THE LINE PERFORMER” is best. This time must be dedicated to solving challenges and offering support. It is not the time to try to identify challenges. This work needs to be conducted up front. You need to have done your homework ahead of the time and identified any areas, where they need specific support. These group coaching sessions are conducted on a Friday afternoon after 3 pm, as this uses time, where B2B customers are traditionally not available to meet with your sales team. This group coaching session, encourages team participation and support for each other and uses real life sales calls to help your sales team to improve their performance in the field. Please ensure that you inform your future customers that you are recording the meeting, before doing so. Duration: 60 – 90 minutes, where the sales team reviews a recording of one of the “MIDDLE OF THE LINE PERFORMERS” sales meetings with a future customer. Tools: Recording of sales meeting with future customer. 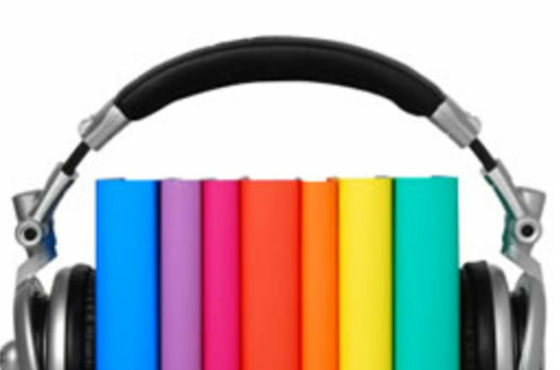 Play and pause the recording to garner feedback, input and insights from all sales team members. These are very powerful learning opportunities as there is a lot of knowledge transfer between all sales professionals. 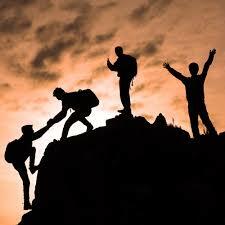 The top performers have the opportunity to support their peers and help them to optimise their performance. Action Idea: The key to make this work is the schedule it at the same time and on the same day every week and to encourage an environment of acceptance, openness and trust. During these sessions include a section, where one sales professional gets the opportunity to share a really powerful moment from one of their sales calls during the week. Allow one of the top performing sales professionals to share a powerful tip, which will help the other sales team members to optimise their sales performance. When you accept that as a sales leader one of your major functions is to act as a sales coach and mentor to your sales team members, you will very quickly see remarkable improvements in the results achieved by your sales team. Sales coaching does not only support your sales team to improve their sales skills, but it also acts as a powerful tool to support your sales team to remain focused and inspired.